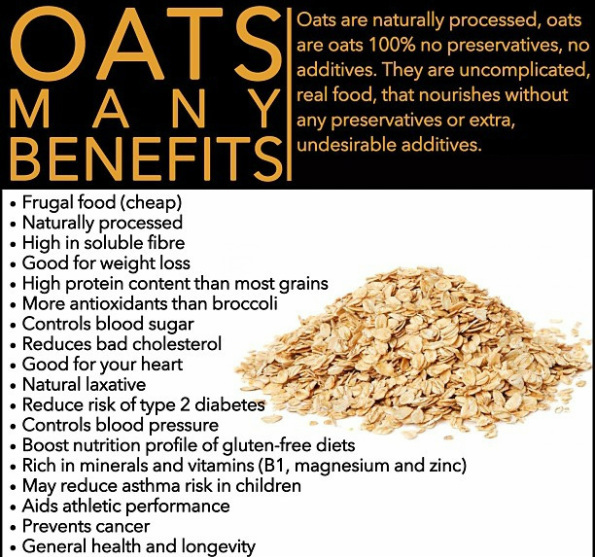 Oats - Are You Ready for a Change? It is highly recommended to enjoy your whole grains separately from other foods. The body will absorb the nutrients more efficiently due to the phytic acid present in whole grains, seeds and nuts. Phytic acid is the storage form of phosphorus found in many plants, especially in the bran or hull of grains and in nuts and seeds. Although herbivores like cows and sheep can digest phytic acid, humans can’t. This is bad news because phytic acid binds to minerals (especially iron and zinc) in food and prevents us from absorbing them. Studies suggest that we absorb approximately 20 percent more zinc and 60 percent more magnesium from our food when phytic acid is absent. It’s important to note that phytic acid does not leach minerals that are already stored in the body; it only inhibits the absorption of minerals from food in which phytic acid is present. Soaking grains, legumes, and nuts can reduce the amount of phytic acid. Unfortunately the soak does not do the trick very well with oats. The problem with oatmeal is that it lacks sufficient quantities of phytase. Soaking it will make it cook faster and that is a great thing on a busy weekday morning, but the soaking does not help from a phytic acid perspective. UNLESS you add a bit of fresh ground wheat, spelt, rye, or buckwheat to the oatmeal and then soaking it. The phytase in these other grains will work to reduce the phytic acid in the oats. Use about 10% of the complementary fresh ground grain to 90% oatmeal, though often add a heaping tablespoon to a cup or so of rolled oats. Soak the oatmeal in water above body temperature overnight in a warm spot. Use the same amount of water you usually cook it in and simply throw it all in the pan in the morning. I do not recommend using the yogurt or whey anymore, just stick with the complementary grain for more diligence. Oats, known scientifically as Avena sativa, are a hardy cereal grain able to withstand poor soil conditions in which other crops are unable to thrive. Their fortitude seems to be transferred to those who consume this nutrient-rich grain. After all, when we think of a satisfying and enriching way to start the day, one that gives us strength and lasting energy, we often times relish the thought of a hot bowl of oatmeal. A steaming bowl of fresh cooked oatmeal is the perfect way to start off your day, especially if you are trying to prevent or are currently dealing with heart disease or diabetes. Oats, oat bran, and oatmeal contain a specific type of fiber known as beta-glucan. Since 1963, study after study has proven the beneficial effects of this special fiber on cholesterol levels. Studies show that in individuals with high cholesterol (above 220 mg/dl), consuming just 3 grams of soluble oat fiber per day (an amount found in one bowl of oatmeal) typically lowers total cholesterol by 8-23%. This is highly significant since each 1% drop in serum cholesterol translates to a 2% decrease in the risk of developing heart disease. High cholesterol levels correlate with the build up of plaques in blood vessel walls. If these plaques become damaged or simply grow too large, they can rupture, blocking a blood vessel and causing a heart attack, stroke, or blood clots elsewhere in the body. Lowering high cholesterol levels can therefore significantly reduce the risk of cardiovascular disease and stroke. Antioxidant compounds unique to oats, called avenanthramides, help prevent free radicals from damaging LDL cholesterol, thus reducing the risk of cardiovascular disease. Researchers tested the antioxidant ability of avenanthramides to protect LDL cholesterol against oxidation (free radical damage) induced by copper. Not only did the avenanthramides increase the amount of time before LDL became oxidized, but when vitamin C was added, the oat phenols interacted synergistically with the vitamin, extending the time during which LDL was protected from 137 to 216 minutes. In another study also conducted at Tufts and published in Atherosclerosis, researchers exposed human arterial wall cells to purified avenenthramides from oats for 24 hours, and found that these oat phenols significantly suppressed the production of several types of molecules involved in the attachment of monocytes (immune cells in the bloodstream) to the arterial wall—the first step in the development of atherosclerosis. Oat avenanthamides suppressed production of ICAM-1 (intracellular adhesion molecule-1) and VCAM-1 (vascular adhesion molecule-1), E-selectin, and the secretion of pro-inflammatory cytokines KL-6, chemokines IL-8 and protein MCP-1 (monocyte chemoattractant protein). Heart failure is the leading cause of hospitalization among the elderly in the United States. Success of drug treatment is only partial (ACE inhibitors and beta-blockers are typically used; no evidence has found statins safe or effective for heart failure), and its prognosis remains poor. Follow up of 2445 discharged hospital patients with heart failure revealed that 37.3% died during the first year, and 78.5% died within 5 years. Since consumption of whole grain products and dietary fiber has been shown to reduce the risk of high blood pressure and heart attack, Harvard researchers decided to look at the effects of cereal consumption on heart failure risk and followed 21,376 participants in the Physicians Health Study over a period of 19.6 years. After adjusting for confounding factors (age, smoking, alcohol consumption, vegetable consumption, use of vitamins, exercise, and history of heart disease), they found that men who simply enjoyed a daily morning bowl of whole grain (but not refined) cereal had a 29% lower risk of heart failure. The women's intake of fiber from fruits, vegetables and unrefined grains was not associated with a lessening in CVD progression. In laboratory studies reported in Surgery, beta-glucan significantly enhanced the human immune system's response to bacterial infection. Beta-glucan not only helps neutrophils (the most abundant type of non-specific immune cell) navigate to the site of an infection more quickly, it also enhances their ability to eliminate the bacteria they find there. According to study leader Jonathan Reichner of the Department of Surgery at Rhode Island Hospital and Brown University, priming neutrophils with beta-glucan helps these immune defenders quickly locate the bacterial mother lode within infected tissue. And this more rapid response to infection results in faster microbial clearance and healing. Since our non-specific immune defenses are the body's first strike forces against invading pathogens, starting your day with a bowl of oatmeal may boost your immune response in addition to your morning energy levels. Oats and other whole grains are a rich source of magnesium, a mineral that acts as a co-factor for more than 300 enzymes, including enzymes involved in the body's use of glucose and insulin secretion. Research data confirms inverse associations between magnesium, calcium and major food sources in relation to type 2 diabetes that had already been reported in predominantly white populations. Risk of type 2 diabetes was 31% lower in black women who frequently ate whole grains compared to those eating the least of these magnesium-rich foods. When the women's dietary intake of magnesium intake was considered by itself, a beneficial, but lesser—19%—reduction in risk of type 2 diabetes was found, indicating that whole grains offer special benefits in promoting healthy blood sugar control. When researchers looked at how much fiber 35,972 participants in the UK Women's Cohort Study ate, they found a diet rich in fiber from whole grains, such as oats, and fruit offered significant protection against breast cancer for pre-menopausal women. (Cade JE, Burley VJ, et al.,International Journal of Epidemiology). Whole grains, such as oats, contain many powerful phytonutrients whose activity has gone unrecognized because research methods have overlooked them. Phenolics, powerful antioxidants that work in multiple ways to prevent disease, are one major class of phytonutrients that have been widely studied. Included in this broad category are such compounds as quercetin (onions), curcumin (turmeric), ellagic acid, catechins, and many others that appear frequently in the health news. As far as whole grains are concerned, Dr. Liu believes that the key to their powerful cancer-fighting potential is precisely their wholeness. A grain of whole wheat consists of three parts—its endosperm (starch), bran and germ. When wheat—or any whole grain—is refined, its bran and germ are removed. Although these two parts make up only 15-17% of the grain's weight, they contain 83% of its phenolics. Dr. Liu says his recent findings on the antioxidant content of whole grains reinforce the message that a variety of foods should be eaten good health. "Different plant foods have different phytochemicals," he said. "These substances go to different organs, tissues and cells, where they perform different functions. What your body needs to ward off disease is this synergistic effect—this teamwork—that is produced by eating a wide variety of plant foods, including whole grains." One type of phytochemical especially abundant in whole grains including oats are plant lignans, which are converted by friendly flora in our intestines into mammalian lignans, including one called enterolactone that is thought to protect against breast and other hormone-dependent cancers as well as heart disease. In addition to whole grains, nuts, seeds and berries are rich sources of plant lignans, and vegetables, and fruits. When blood levels of enterolactone were measured in over 800 postmenopausal women in a Danish study published in the Journal of Nutrition, women eating the most whole grains were found to have significantly higher blood levels of this protective lignan. Women who ate more cabbage and leafy vegetables also had higher enterolactone levels. Although treatment of celiac disease has been thought to require lifelong avoidance of the protein gluten, which is found in wheat, rye, barley and oats, recent studies of adults have shown that oats, despite the small amount of gluten they contain, are well-tolerated. Now, a double blind, multi-center study involving 8 clinics treating 116 children newly diagnosed celiac disease suggests oats are a good grain choice for children with celiac disease as well. The children were randomly assigned to receive either the standard gluten-free diet (no wheat, barley, rye or oats) or a gluten-free diet with some wheat-free oat products. At the end of the study, which ran for a year, all the children were doing well, and in both groups, the mucosal lining of the small bowel (which is damaged by wheat gluten in celiac disease) had healed and the immune system (which is excessively reactive in celiac patients) had returned to normal. In many studies, eating whole grains, such as oats, has been linked to protection against atherosclerosis, ischemic stroke, diabetes, insulin resistance, obesity, and premature death. A new study and accompanying editorial, published in the American Journal of Clinical Nutritionexplains the likely reasons behind these findings and recommends at least 3 servings of whole grains should be eaten daily. Whole grains are good sources of phytoestrogens, plant compounds that may affect blood cholesterol levels, blood vessel elasticity, bone metabolism, and many other cellular metabolic processes.